Viox Windows specializes in replacement vinyl windows and all types of doors. They also offer remodeling services such as vinyl siding, roofing, basements, kitchens, bathrooms and other remodeling jobs for your home or business. Viox Windows is a 27 year member of the Christian Blue Network. 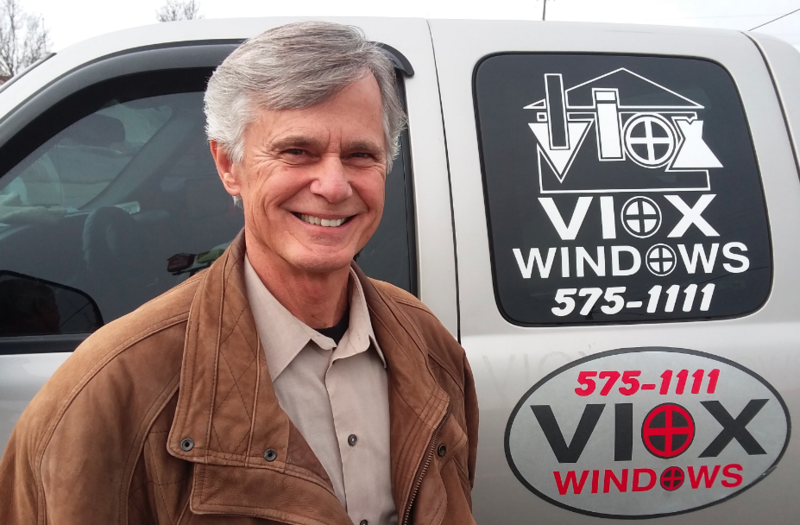 I put windows in for a friend 40 years ago and realized I liked to do it…I got satisfaction out of it, and I like helping people get their house fixed up at a reasonable price. I’m still doing it today, and don’t have any plans to quit. It’s nice getting out, meeting people, and helping them with their home. As newlyweds, my wife and I attended church, but then after watching a Billy Graham movie and hearing the Word preached, I decided to commit my life to Jesus. I made it public in 1975 on Palm Sunday, and then I followed up by getting baptized. There’s no going back, and I have a life of joy. I do not believe that we need to separate our business from our personal life – all should all tie together, and we are called to be witnesses of Christ all the time.